This Sunday I found myself with a day to kill in Baltimore before catching my flight back home, so as usual I started off by scouting out a good restaurant or two. A nd I found a little gem just at the bottom of the hill in the Mount Washington neighborhood where I was staying! 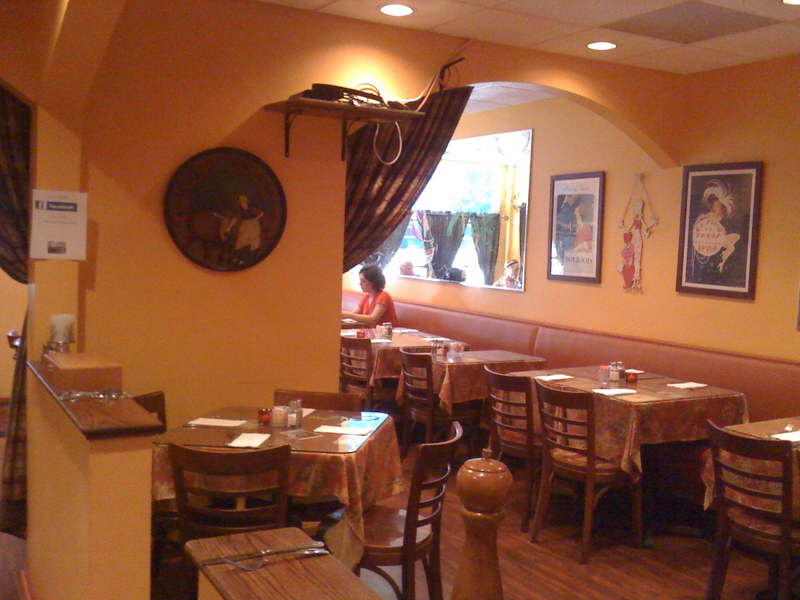 Crêpe Du Jour (www.crepedujour.com) is a cozy place with a lightly French ambiance, pleasant decor, and (judging by my waiter) low-key but knowledgeable staff. 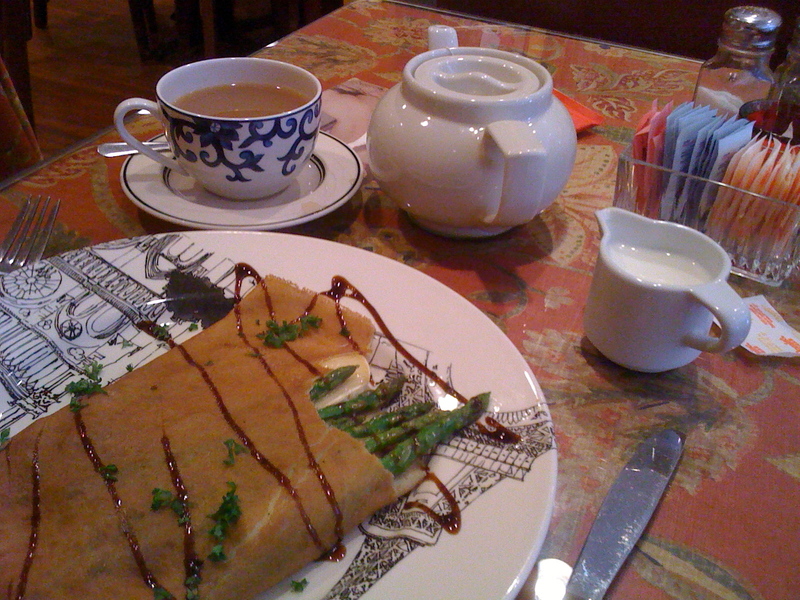 And crêpes!–both savory and sweet (as well as a small survey of other bistro fare). I went with the Crêpe Lorraine, a nice combination of (thin!) asparagus spears, brie, and prosciutto, with flecks of onion to balance the earthy flavors. It arrived at the table scribbled with an aromatic balsamic reduction; each ingredient had enough presence to say hello to you on its own before blending back into the crowd. A very nice dish! This entry was posted in Let's go EAT! and tagged Baltimore restaurants, crêpes by judyramey. Bookmark the permalink.